Former Manchester United star Gary Neville has co-founded Sustainability In Sport with the aim of helping clubs and supporters become more eco friendly. Even before retiring in 2011, Neville, who is now a Sky TV pundit, was embracing a green lifestyle with plans for an eight-bedroom underground eco home. “The key for me is to live in a low-impact house that performs the best it can,” he said. 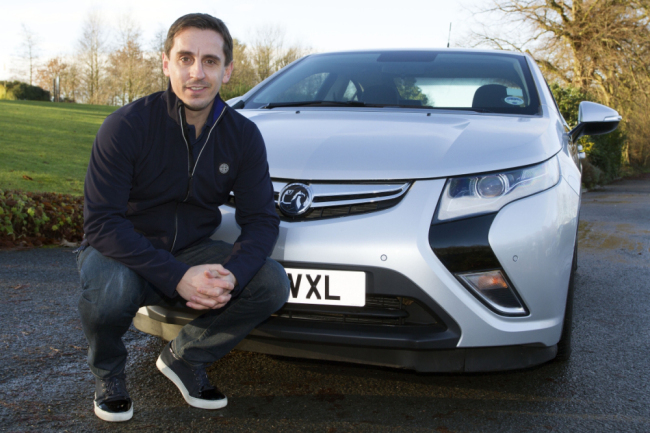 This entry was posted in Energy, Environment, Green, Renewable energy and tagged football, Gary Neville, hybrid cars, Manchester United, sport, Sustainability in Sport. Bookmark the permalink. Top sportsmen have a lot of power to educate younsgters. If only more of them would adopt this stance. Hats off to Gary Neville.